our kitty, zoey, or as i call her, "dum dum"
Zoey is our neighbor Rob’s cat, but she’s an outside cat and she spends more time on our front porch than anywhere else. We’ve kinda adopted her. She’s a neurotic little beast (like most cats) but we love her. 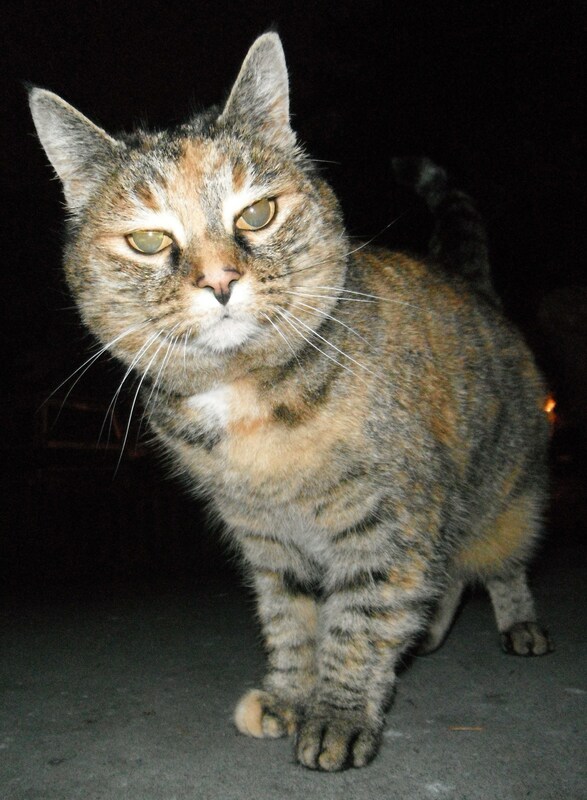 IMO, she is Lee’s cat, but pretty much the whole household likes her company as they sit out on the front porch for a smoke. Yup, my mom and dad. Love these guys, and i think they just get greater every year. You can’t really tell from the picture, but my dad got 15 stitches in his thumb just a couple weeks ago. 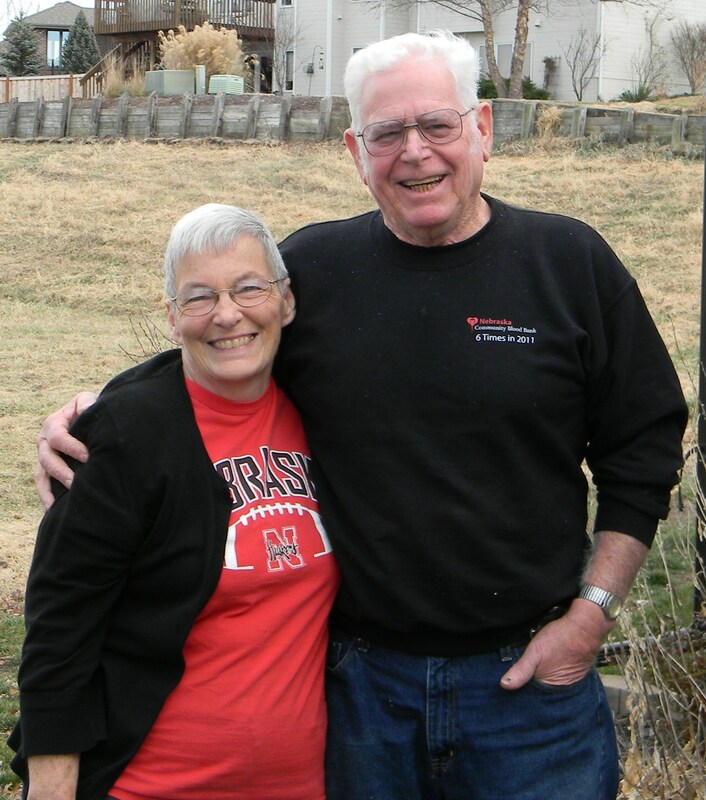 He’s a retired mechanic (Had his own shop for over 30 years) so i think it’s in his blood to be a tinkerer of sorts — but when I was young, I always wondered where I got my artistic side. Mom didn’t really do much creative stuff (some crochet when i got older), and dad didn’t do anything. I think i saw him doodle on scratch paper a couple times while he was on the phone at work, but otherwise zip. This year He bought a friend’s carpentry set up and put it down in the otherwise unused basement. Band saw, Table saw, belt and disc sanders, the whole bit. He doesn’t know much about carpentry, save for what he learned in high school –my parent’s bed and dresser are pieces my dad made back in high school (my parents are in their 70’s). !!! So, anyways, my dad’s back at it, making birdhouses. Birdhouse #3 almost got him. Those dang tablesaws–I’m not a fan of those machines either. So proud of my dad for his creative efforts. What’s Great about my job, working as a Janitor at Alpine Food Distributing? Well, as of May, we moved into a warehouse that’s roughly 3 times larger than the building we were in (that I spent my whole day cleaning). That’s not great, not for me. When I first started in 2005, I was daunted by the size of the warehouse we had –it all had to be cleaned, warehouse, office space, bathrooms, etc. It took me about 6 months to get the place up to par (where I was happy with how it looked) and found a routine that was efficient and effective. Half a janitor’s job is figuring out what needs to be done, how it needs to be done, and how frequently. I had it down to where roughly half the day would be the job, i.e. what needed to be done everyday, and the other half would be upkeep on everything else, including all those crazy odd jobs that have nothing to do with cleaning (like those days out delivering stuff that the drivers should’ve, or stupid stuff like taking the boss’s cars to mechanics) –in reality I’m also what they call a “Day Porter”. With the new building, I have no luxury of time. 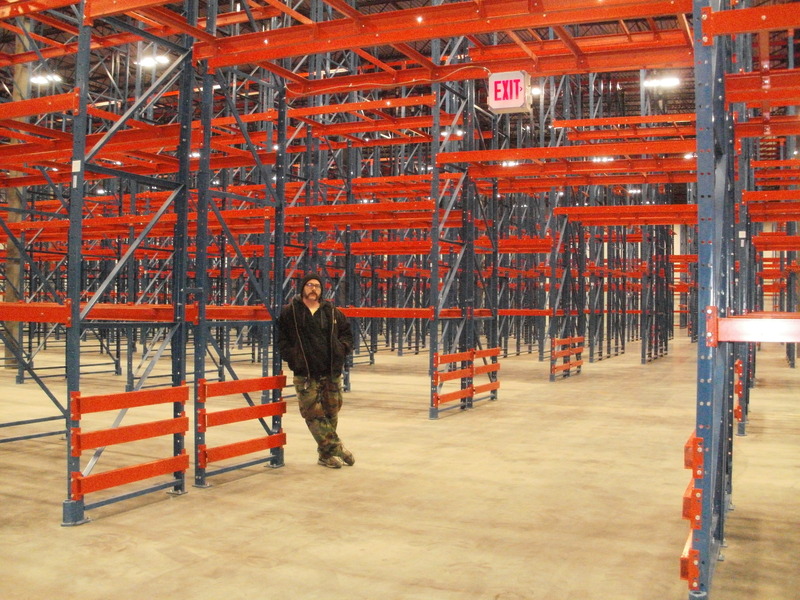 280,000 square foot worth of building takes up all my time to clean –warehouse, office space, bathrooms, everything. And I’m still stuck with all the odd jobs. So what’s so great about working at a place I never catch up with? Well, there’s always something to clean. But really, I don’t have much positive to say over the job. What I’m grateful for is, for one, it’s a job. It’s close to where i live, so I can bike there. I don’t make what I think I should make (the starting wage of a warehouseman there is making about the same wage as I am, after 6 years), but relatively speaking, I make a decent wage, with decent benefits. The biggest thing I’m grateful for, and what makes it “great” (and i use that term loosely) is that i have a lot of hidden benefits. I don’t get as much grief as others do if i’m a little late, or leave a little early –if i want to, I can stay well after my allotted hours, (since there’s always something to clean) which is cool, but I generally don’t. They allow me use of a company van at times so I can accomplish tasks that i need a car for –half of the shows/art moving tasks I did this year was thru the use of that vehicle. I can get days off with relative ease (though my boss gives me crap every time, he gives them to me). I want a new job so damn bad, something that actually has something to do with my artistic goals – but Alpine is a comfy cave. It’s a hole, but it’s my hole, and my coworkers, the people who share in my hole, like what i’ve done with it, and would miss me if i wasn’t there to clean it. That’s not to say i’m not replaceable (my boss makes sure everyone knows this –great motivator, yes? ), but I’m miss-able. CONTINUANCE —Another Great band. With members from MEANS and SAINTS NEVER SURRENDER. Yup, another band who no longer exists, but their work carries on. Camping with friends out in the forest of Mt. Hood –We do it every year, but every year is pretty effin special to me. 2011 was the first year I started getting my work out into places. Sure, I’ve shown at group shows, but these were MY shows. 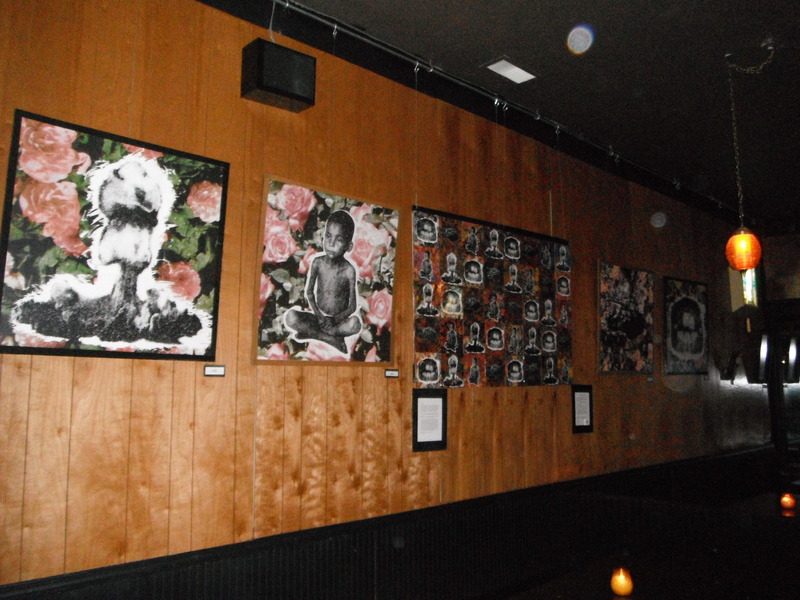 In 2011 I showed my work at The Limelight, The Cricket Cafe, The Red Flag, and The Nest. None of these shows would’ve happened if it wasn’t for the help and opportunity provided by these people: Chris Haberman, April Stephens, Heidi Elise Wirz, and Jason Brown. My Thanks to ALL who have helped me, both with the big things going on in my life and the daily minutiae. I have no idea what’s gonna happen in 2012, but the plan is to keep this snowball rollin and growin further down the hill of life. Much Love my Friends! This entry was posted in Uncategorized and tagged 2011, April Stephens, Chris Haberman, CONTINUANCE, Heidi Elise Wirz, Jason Brown, mom and dad, The Red Flag by larrychristensen. Bookmark the permalink.